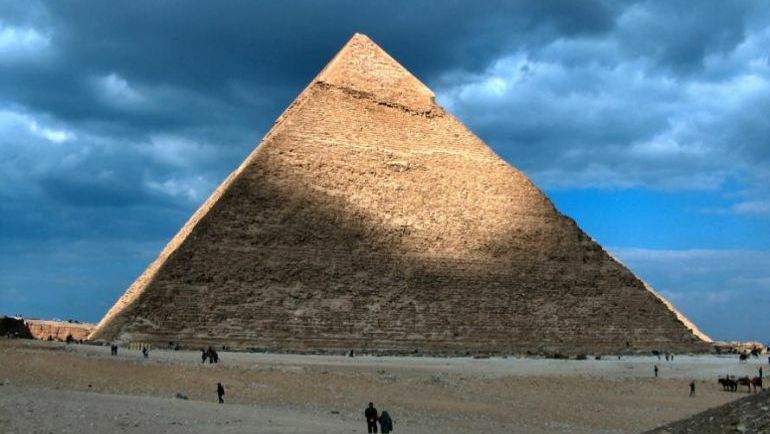 Is The World's Second Largest Pyramid Lighter On The Inside? Is the Pyramid of Khafre ‘lighter’ on the inside? Some researchers certainly think so. The Pyramid of Khafre stands the second tallest among the trio of the Pyramids of Giza, and as such is also the second tallest pyramid in the world – with an impressive height of 441 ft. However there is possibly more (or rather ‘less’) to this massive structural ambit than that meets the eye. According to Japanese researchers, who have also lend their expertise in the ongoing discoveries fueled by cosmic muon particles, the Pyramid of Khafre might just be 30 percent less ‘heavy’ than it was previously thought to be. Simply put, the monumental tomb is (possibly) far less dense that its gargantuan physicality suggests. Now the obvious question arises – how did these researchers come to such an unorthodox conclusion? Well according to Michinori Oshiro, a professor of Egyptology at Komazawa University in Tokyo, their study is based on a pretty old analysis that was done in 1968 by U.S. scientists. Interestingly enough, this almost-fifty years old project involved the use of muon particles (for the first time) for assessing the interior of the pyramids, in search of hidden chambers. As for this current endeavor involving the Pyramid of Khafre, the Japanese researchers simply re-evaluated the data of the earlier study. Delving into details, the researchers were particularly interested in the numbers of muons that are proportional to the density of the pyramid. And quite surprisingly, they found that the muons had actually decreased in number, thus resulting in an interior density of about 1.8 grams per cubic cm for the structure. 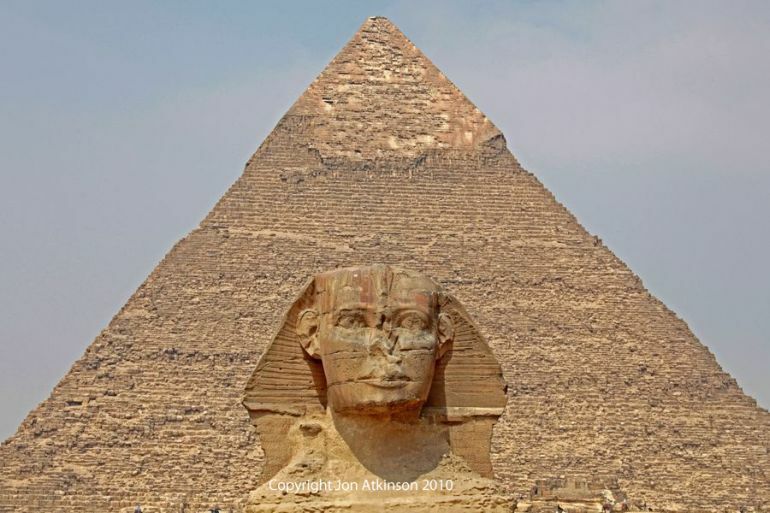 Now in a conventional scope, the Pyramid of Khafre, with its physical dimensions and typical stone components, should account for 5.5 million tons. But the revised figure (according to the researchers) equates the overall weight of the structure to just 3.98 million tons, which is 30 percent less than the ‘standard’ value. Our study shows the blocks of stone that had to be transported were relatively light for their size. That could change part of the established theory, such as how long it took to build it. Lastly however, it should be noted that in spite of the reduced ‘scope’, the Pyramid of Khafre is still a gargantuan feat of engineering. Possibly constructed circa 2570 BC, structure currently rises to a height of 448 ft (while its original height equated to 471 ft), while having base length of 215.5 m (706 ft), thus accounting for a humongous 46,770 sq m (498,436 sq ft) of area – which is equivalent of over 8 football fields! Interestingly, the entire structure was already built upon an elevated bedrock 10 m (33 ft), which makes it appear higher than the actual pyramid’s mathematical height. Furthermore, while the Pyramid of Khafre probably doesn’t boast as many regularly-placed casing stones as the higher Pyramid of Khufu (The Great Pyramid), the constructional techniques and arrangements of the 2-ton stones were similar to its predecessor. Anyhow the Pyramid of Khafre’s greatest claim to fame arguably relates to the Great Sphinx, the largest monolithic statue in the world. That is because this incredible masterpiece was probably an inclusive part of the vast Khafre’s complex built during the same time and possibly created from the same rock formations used for the giant pyramid (at least, that is the dominant view held by the majority of the Egyptologists).